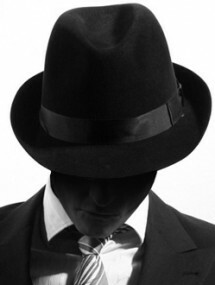 The mysterious A.W. Mykel hit the literary world in 1980 with his acclaimed first novel The Windchime Legacy. He later published The Salamandra Glass and The Luxus Conspracy, which landed on the best seller’s list across the county in its first week. Dubbed by many critics as “the next Robert Ludlum,” A.W. 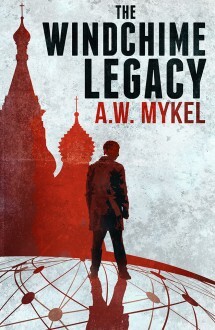 Mykel keeps the adrenalin in his international spy thrillers flowing from beginning to end with twists and turns that will keep readers on the edge of their seats. His first-rate spy stories have compelling realistic covert operational action with authentic detail outlining the art of assassination. The readers are left in suspense until the bitter end. This master of espionage and international intrigue exhibits an eerie understanding of how the netherworld of international espionage may work, which begs the questions who is A.W. Mykel? How much does he really know? Part of the mystery behind A.W. Mykel has been unraveled. Unfortunately, his real name is still a mystery. The author writes under a pseudonym, and it has been discovered that he lives in the Texas hill country. Mykel is a trained scientist in biology, chemistry, and physics who ventured into a successful career in business as an implementation specialist and executive. He later started his own consulting company, which led to his implementation work on high level projects with the United States Navy. In 2009, Mykel happily retired. His life before his business success remains a mystery. Rumor has it that he has begun a new part-time hobby of Civil War research. He says there’s no intent to start work on another novel, but then again, there was no intent to start The Windchime Legacy. You can never tell with this guy; he’s as unpredictable as the twists and turns in his stories. In 1980, the mysterious A.W. Mykel came out of nowhere with this brilliantly inventive, international bestseller. American spies have implants in their skulls that connect them with Sentinel, a intelligent supercomputer that gives the agents incredible intellectual abilities... or it can blow up their skulls at its whim. Move over, Robert Ludlum. Make room, Alistair MacLean. A.W. Mykel has arrived.